Lead qualification is the best tool in your arsenal for improving product engagement. The insights it generates go beyond helping your sales and marketing teams. Ultimately, it's a measure of someone's potential to become an active, long-term customer. The deeper your lead qualification process, the easier it becomes to find—and keep—those customers. So if you're struggling with poor product engagement and lousy retention, it's time to turn your attention to the top of the funnel. Build out a lead qualification strategy, and quality product engagement follows. What makes an engaged customer? There's more to lead qualification than maximizing sign-ups and short-term revenue: it's about finding customers that will be great for your business in the long-run. After all, many companies create hundreds, even thousands of leads, each and every day. While some contain the seeds of fruitful, long-term relationships, others won't properly engage with your product. Without a way to prioritize great customers and flag bad-fit sign-ups, you're putting product engagement on the line. Thankfully, it's possible to build a system to screen your leads, identify your best-fit customers, and create a powerful, low-churn growth machine. Problem/solution fit: Their day-to-day lives are made harder by a problem your product is tailor-made to solve. Education: They've read about their problem, and ways to solve it. You don't have to work hard to explain the value of your product: they already know. Timing: They're sick-to-death of their problems, and they're looking for a fix right now. Budget: They can afford your solution, and won't have to abandon it because of financial constraints. Authority: They can encourage company-wide adoption of your product, and drive meaningful change in their organization. Together, these qualities—which we'll call PETBA—combine to drive meaningful product engagement: they have everything they need to start using your product, quickly gain value from it, and continue using it, months and years into the future. To improve product engagement, we need to screen for these qualities. To see this process in action, let's imagine we offer a powerful CRM tool. After filling out a contact form, our sales rep arranges a qualification call with a lead called Alex. Determining their level of authority within the company. Exploring the need that's driven them to take action. Understanding the timing of their decision. Alex has full control over a $10,000 budget, earmarked specifically for a CRM solution. As the co-founder of his company, Alex is in a strong position to ensure company-wide adoption of any new tool they invest in. As they grow, Alex's sales team has been frustrated by a slow, hard-to-integrate CRM, and they're looking for a more powerful solution designed to operate at scale. The company is planning to expand into new territories, and they need a fully-integrated CRM set-up within the next 3 months. Problem/Solution Fit: The move from a small business CRM to a scalable solution is a common use case for our product, and there's a great chance we can solve his problem. Education: Alex is no stranger to CRM solutions, and clearly understands the value of a more powerful product. Timing: The company's problems are getting more painful with time, and he's looking for an immediate solution. Budget: Alexis willing to make a serious investment to solve their problem. Authority: As co-founder, Alex has the power to drive adoption throughout the company. Based on a single call, our near-anonymous visitor has become a prime candidate for a productive, long-term relationship. If we could sign a few more customers like Alex, product engagement wouldn't be a problem. Lead qualification is great for deep insight into a single lead, but with a pipeline of hundreds, even thousands of potential prospects, we can't spare this level of effort for everyone. To improve product engagement in a meaningful way, we need to automate this process for every potential customer. That's where data enrichment comes in. 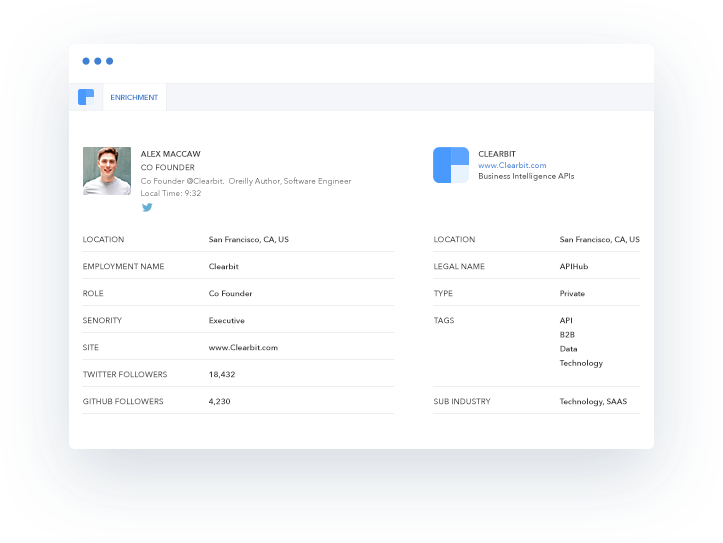 Using tools like Clearbit's Segment integration, Reveal, you can build-out detailed lead insights from as little as a visitor's IP address; allowing you to flesh out lead profiles with dozens of demographic insights, like job title, industry or location. The data generated is less open-ended than traditional lead qualification, but offer many of the same insights into future product engagement. As a result, it becomes possible to build a quantitative lead scoring model, a way to automate and simplify the process of sifting through leads to find our best-fit future customers. 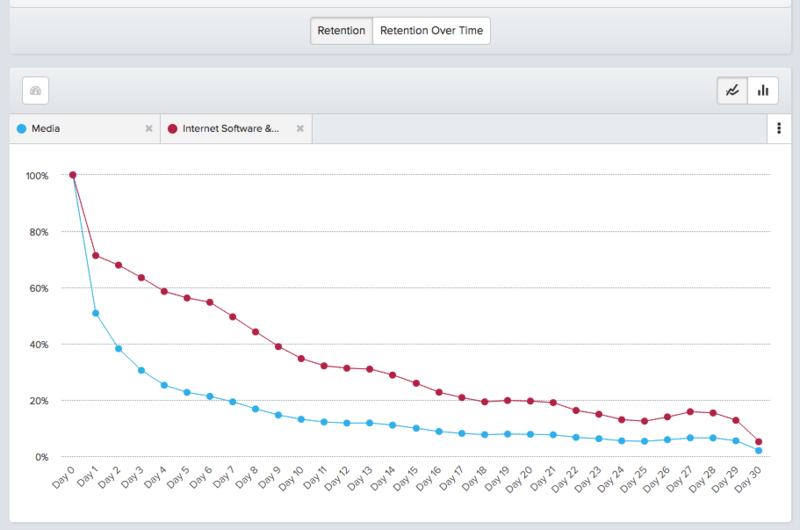 The easier it is to find those leads, the better our long-term product engagement. For example, it might be that our best customers—those that have the strongest problem/solution fit, the right level of education, and so on—typically come from B2B companies in the SaaS industry. Co-founders are more likely to drive long-term product engagement than less senior employees, and companies with around a hundred employees are likely to have the right budget to benefit from our product. Based on those insights, we can maximize product engagement by prioritizing leads that match our target demographic. To do that, we can score each lead based on how closely they resemble our ideal customer. The higher their score, the greater their chances of becoming happy, retained customers - and the higher priority they become for sales follow-up. In the example above, we've used data enrichment to score 4 leads - including Alex. Of our 4 leads, Alex has the highest score: 28 points out a possible 30. Using an automated process, we've reached the same conclusion as we did during the manual lead qualification process: Alex is a great fit to become a long-term, successful customer. Other hallmarks of great product engagement are almost impossible to measure with a traditional lead qualification framework. Education is particularly difficult to gauge: a single call can only reveal so much about a lead's depth of knowledge across your industry, your competitors and your features. Thankfully, behavioral data, generated from interactions on your website, can serve as a useful heuristic. For example, it's likely that leads that read your blog content, or subscribe to your newsletter, will have a deep understanding of the problem your product solves. Similarly, visiting your pricing page might suggest they have the autonomy and need to make a quick decision. By identifying common actions that your most engaged users take, prior to sign-up, we can add an extra layer of data to our lead scoring model. Visited Pricing Page: Alex has invested time into thinking about our plan and weighing it against his perceived value. Read 5+ Blog Posts: He's spent time educating himself about the CRM industry. Multiple Site Visits: This isn't a snap decision for Alex—he's been researching CRM solutions for months. Email Subscriber: He's continually engaged with our content and seems to enjoy our ethos. Visited “About Us” Page: Alex wanted to learn as much about our company as possible. Every time a prospect completes one of the actions, they're assigned 2 points, boosting their lead score, and raising their priority for sales follow-up. Using simple site interaction data, we can see that Alex has completed all 5 desired actions, netting a full score of 10 points. He's the highest scoring lead, and as a result, our best bet for a long-term relationship. The deeper your lead qualification, the easier it becomes to sign-up the types of customers that will lead long, happy lives with your product. But by getting to grips with the backgrounds and needs of your future customers, you're also opening other doors to improved product engagement. By using lead insights—like industry and job title—to segment your customer data, you can quickly view the efficacy of onboarding sequences on a cohort-by-cohort basis. In the example below, our onboarding process is working well for internet software companies, but it's failing media companies. We can use this information to tweak our current onboarding process, or even better, develop separate onboarding flows for each industry. The better your understanding of each customer, the easier it is to personalize their onboarding experience. Insights into their background, experience, seniority and knowledge can all be used to build unique flows, designed to help them get value from your product within the first few minutes of using it. This is a process we use at Clearbit. Developers and marketers are both common customers, but they use our tools in very different ways. Instead of sending a one-size email that doesn't help either lead, we use the role attribute from our enrichment API to send out drip emails tailored to their background. On the left, we've helped Phoebe, a developer, get hands-on with our Enrichment API. On the right, we've tailored our intro email to Janet, a marketer, very differently; choosing to focus on our most popular integrations with common marketing automation tools. A combined sales and marketing platform is able to tailor its onboarding sequences to two very different use cases. In our example, a VP Marketing is introduced to the product's marketing-specific functionality, while a VP Sales sees a showcase of sales features. This process can be applied to entire onboarding sequences, boosting product engagement by nudging leads towards the features they're most likely to enjoy. The quicker your leads hit activation, the better your chance at a long-term relationship. A pipeline of great-fit leads isn't just a nice-to-have for your sales team: it's a prerequisite of great product engagement. The better your understanding of your leads—their motivations, demographic information and on-site behavior—the more likely they are to get real value from your product. Getting on the phone used to be the only way to unlock that data, but increasingly, tools like Segment and Clearbit make it possible to automate your lead scoring—while tools like Appcues make it possible to rebuild your product in light of what you've learned. Armed with better insight into your customer's needs, all of the time and energy you poured into lead generation translates into more than just MQLs and SQLs: it creates life-long customers and unparalleled product engagement.